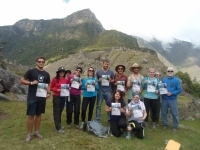 The info before the trip was very good, so we were well prepared for the Inca Trail. The 4 days walking went surprisingly well, it was a lot of breaks so the walking was just a pleasure. Overall, the trip was good. The entire adventure was unique, literally a once in a lifetime opportunity. I would suggest it to anyone who has a passion for exploring the world and really living an interesting experience. The group we were with, both guides and other tourists, lots of fun so together we had a great time! I really like this particular experience, really different from others. I loved all the different landscapes that we've seen. 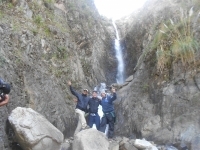 The guides were really good and really helpful during the trip. The chef was good but I think that he didn't consider foods for people that have stomach problem (we were three with that problem). 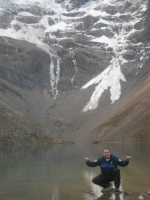 I had an amazing time doing the Salkantay trek. The entire group was super fun and the landscapes we saw were amazing. This trip has been one of the most exciting and one of the best that I have ever undertaken. 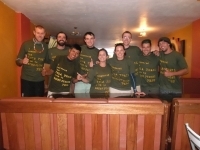 I have been to numerous countries in my lifetime and have meet so many people in my lifetime but never a group that took care of me on the Inca Trail. 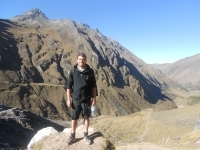 I was very impressed with all of the service that was provided by Inca Trail Reservations. 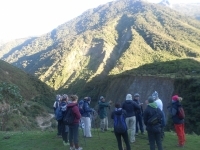 The tour office did a phenomenal job in providing me with all of the information that was necessary before I even arrived in the country of Peru. They were very informative in communicating with me of all the necessary provisions I will need. This was the most amazing experience I ever been involved to. The physicals demands are bigger but the pleasure of overcome all this, is that makes this a one life experience. Our trek was really good. Good weather all the time. The second was pretty hard but besides that it was all right. The food was good. 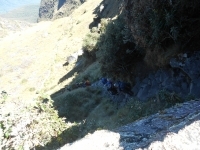 It is not easy to feed 10 persons during 4 days during this trek but the food was good. A oportunidade de socializar com novos amigos dos EUA, Islandia, Perú, Australia, Suecia, Hong Kong, England e Brasil foi impar e representou una experiencia muito rica para mim. Conheci o servico pela internet, e fomos muito bem recepcionados pela empresa e guias. Uma trilha muito boa e com muitos locais diferentes e bonitos. Boa comida e acomodacao, com guias muitos atenciosos e dispostos a ajudar todo o momento. Foram 5 dias de pura emocao e aventuras, com lugares distintos e muita camaradagem por parte de todos. 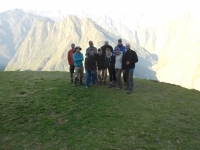 My Inca Trail experience was a great one. 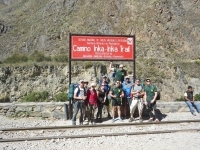 Inca Trail Reservations gave great instructions prior to starting the trek, and took care of everything along the way. 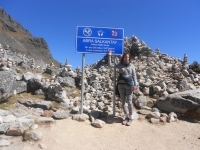 Originally I was worried about the length of hiking each day and whether I would have enough food during the trip.